I have wanted to try a Windows Server based CMS for a while. I use to us DNN at a previous employer. 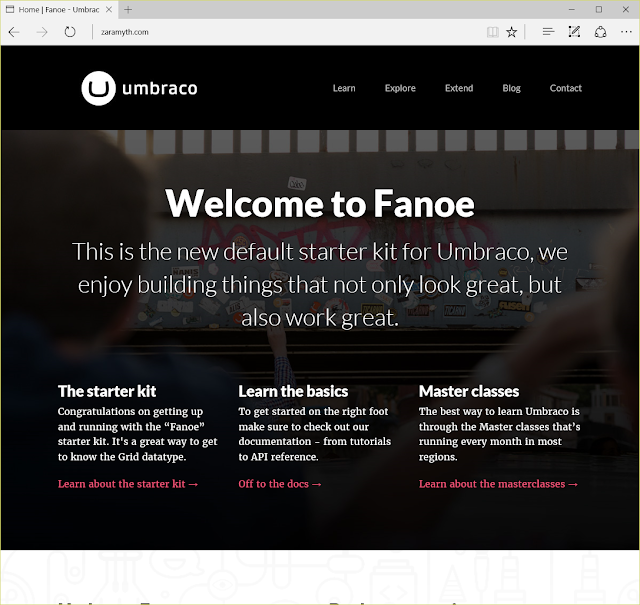 I wanted to try Umbraco so I set up a Windows server environment and got it installed. My server is www.zaramyth.com. I will be working on more websites in the future.